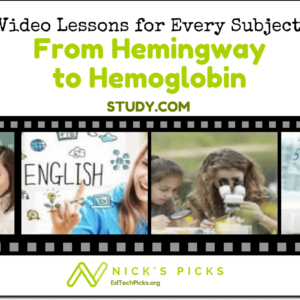 Snagit has long been my go-to for recording screencasts; it is the tool I use most to capture screenshots for this blog and for classroom instructions. TechSmith has now released a free version of Snagit as a Google Chrome extension. 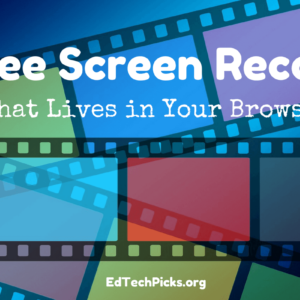 This is great news for Chromebook users who have had a difficult time finding usable screen recording apps. 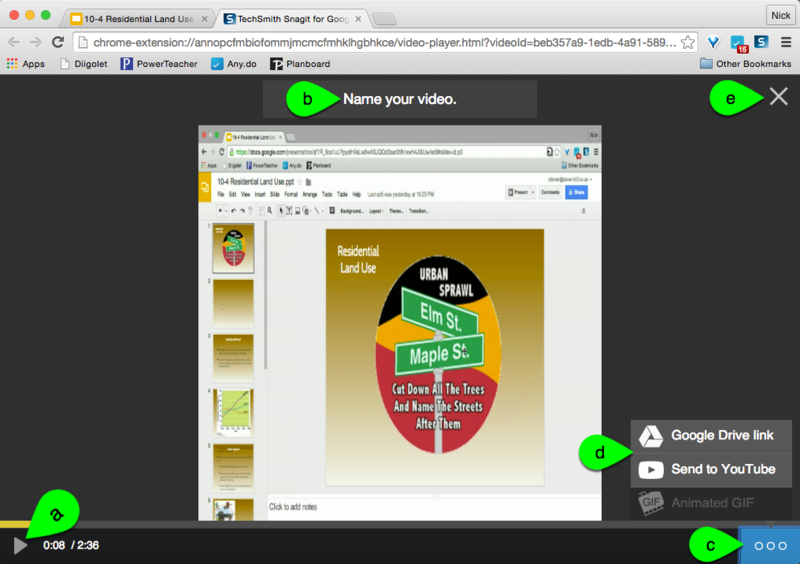 Snagit for Chrome is easy to use, and operates surprising quickly for a browser-based screen recorder. Images and videos are automatically saved to your Google Drive account. Once dowloaded, Snagit is always available within your browser — it really could not be much easier! After clicking on the Snagit button, users are given options for both image and video capture. Users may select the entire screen, or any open window to capture. Image capturing also allows you to highlight any portion of your screen to capture. Once you have captured your screen, a new tab opens with editing choices. Options for marking up images include adding arrows, ellipses, rectangles, or text in your choice of four colors. Videos can be played back and uploaded to YouTube with one click. I have also found that sharing the video with the link from Google Drive is a great alternative to sharing where filters may restrict access to YouTube. 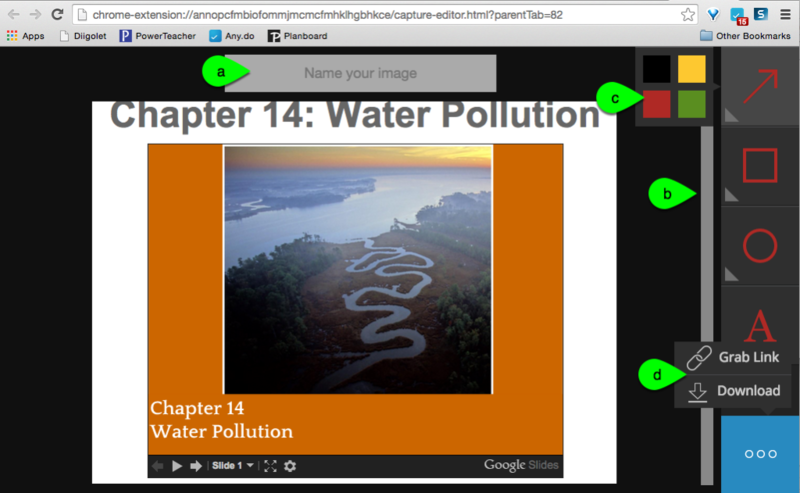 Download my complete visual tutorial to Creating Screencasts with Snagit for Chrome here. Direct link to download the Chrome Extension. Learn more about Snagit from TechSmith. Check out TechSmith’s Google Plus Community. Thanks Jessica! It's my pleasure. 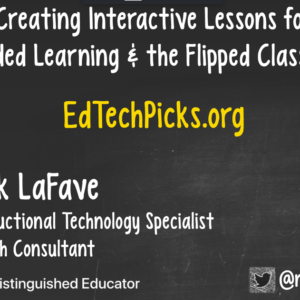 It's easy to write about great products that help teachers.